If you celebrate Christmas, here are our very best wishes to you and your family. This year we’re having a white Christmas in Stockholm (Clare’s first proper brush with snow… I’ll let you know how many snowballs I manage to land before she exacts retribution)! If you’re in or on the water this week, be safe and have fun, and spare a thought for – and say thank you to – the first responders who work to keep us all safe, even during holidays. These often unseen angels include the NSRI, lifeguards, Volunteer Wildfire Services, police, traffic officers, and law enforcement. 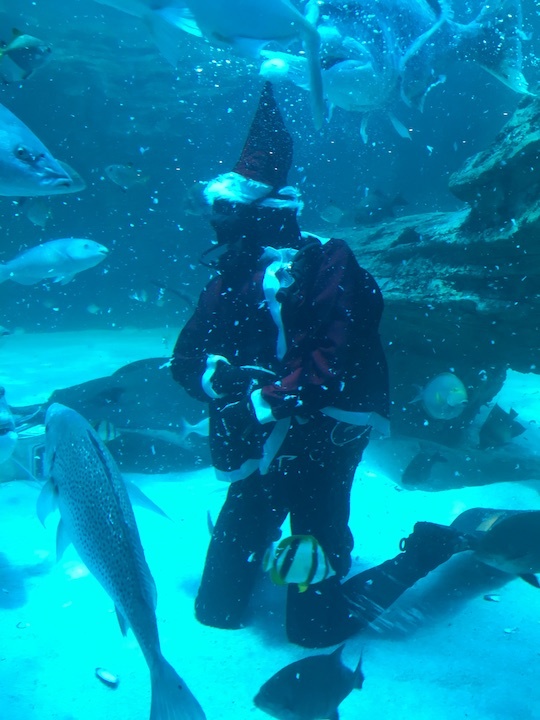 Here, also, is a (cellphone) picture of one of the aquarists from the Two Oceans Aquarium, feeding the fish in the I&J Ocean Exhibit this December. The apparent rain of snow is tiny bits of whatever the fish were getting for lunch that day – most likely chopped up squid and white mussel. 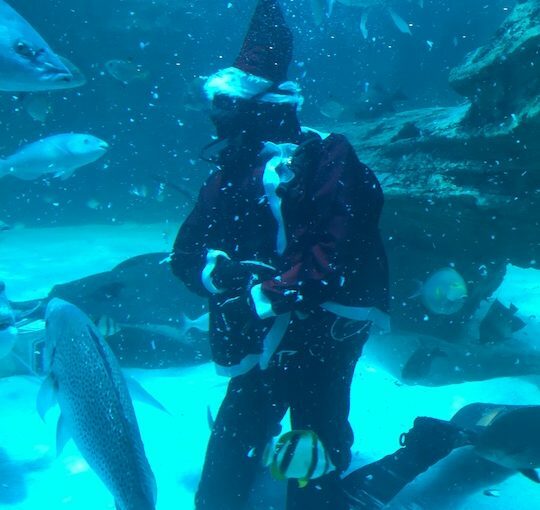 Posted on 25 December 2018 16 December 2018 Author TonyCategories Aquariums, Fish, NSRITags Christmas, holidaysLeave a comment on Merry Christmas divers! 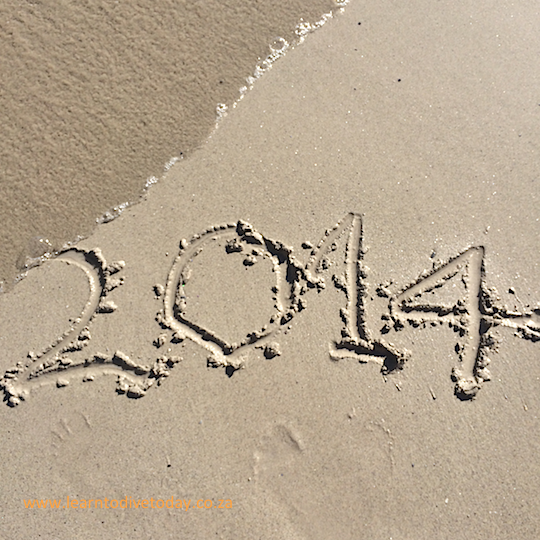 This will be the last newsletter from us until Thursday 10 January. We’re off north to look for reindeer, the aurora borealis, snow, and maybe some orca. 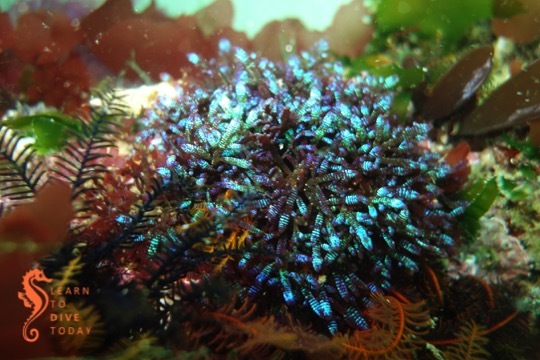 The conditions in False Bay are remarkably good for this time of year, and the wind in the forecast is more modest than many a December we’ve experienced, so you should try to get some diving in if you can. Stay safe, have a great festive season, and see you in 2019. Chaps, Festivus (for those of you who find tinsel distracting) is around the corner. This year, as a principle, the gifts that I’m giving to the people I care about are skewed towards experiences, and when they are things, I’m trying to make them beautiful things that will enable my chums to live more sustainable lives. Before I get going, however, can I point you to this excellent, far more comprehensive, far more inspired gifting guide over at twyg? Their first suggestion is “don’t gift at all”, and this is probably something well worth considering, if it won’t cause a domestic diplomatic incident. Here’s a quick list of ideas in case you’re struggling. 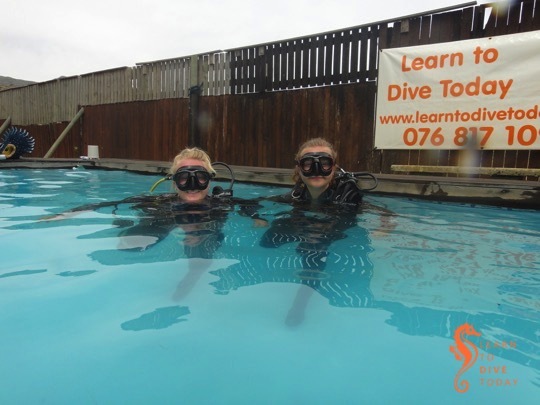 A dive course or boat dive with Tony, a family photo shoot, a day out at Cape Point or up Table Mountain in the cable car, a digital magazine or streaming television subscription – use your imagination! It’s likely that most of us will never, in good conscience, be able to resume watering our gardens the way we used to. For this reason, water wise plants are high on my list of excellent gifts for keen gardeners. For ideas of what plants to choose, your local nursery will help, or you and the avid coastal gardener in your life can consult this excellent book. A set of stainless steel or glass straws (Sustainable.co.za is one stockist), glass or copper straws (check out EbonyMoon for these), or a pack of paper or other biodegradeable straws to keep at home and/or carry around like a dork for use at restaurants. A reusable coffee cup – Seattle Coffee Company sells beautiful Keep Cups, as do Vida e Caffe and many supermarkets. ecoffee cup sells beautiful bamboo cups, with a range of designs to choose from. A reusable shopping bag – most supermarkets stock bags of some description, as does Faithful to Nature. 3friends has beautiful Shweshwe printed bags that are very special. We should all have a reusable shopping bag in our handbags, as well as several in the car. A bokashi bin, which you can find at Builders Warehouse or at many nurseries. Don’t be grossed out – we have significantly improved the soil quality in our garden, and don’t put out any food waste or scraps with our garbage any more, thanks to diligent use of this nifty indoor composter! There are many more excellent non profits than just these three, and so much need, but do your research carefully. My rule of thumb is, if the founder’s face is plastered everywhere and it looks more like a personality cult than an NPO, it’s not a cause that I want to give my bucks to. Be safe, be kind, be frugal, be wise! Thanks for reading. Just in time for Christmas, we have been granted a few days of almost flat seas and very little wind. To top it off the wind direction is also great for False Bay. Friday, Saturday and Sunday all look like good days for False Bay. I am keen to launch in False Bay tomorrow, Saturday and Sunday so if diving is in your plans for the next day let me know as soon as possible and I’ll keep you informed of the schedule. 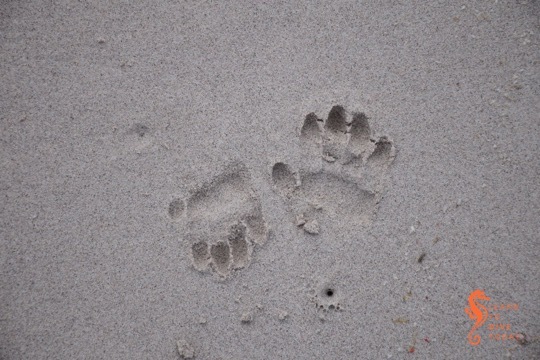 We were at Tafelberg Reef today, then the wreck of the Maori, and then Duiker Island. Although (or rather, because) the visibility was good, the water was cold…. Seven degrees below the thermocline. We had the wind change direction at midday and by late afternoon Hout Bay was starting to darken so I doubt the Atlantic visibility will hold for too long. This will be the last newsletter before Christmas so I would like to wish those of you that celebrate it a good one, and to everyone without exception a safe and happy time with family over the upcoming crop of public holidays and (hopefully) time off from work. 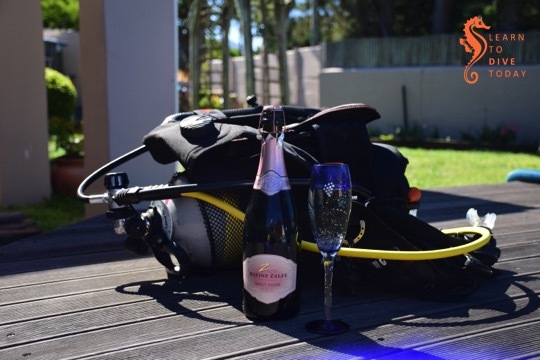 I wondered when I’d need a picture of a glass of champagne next to some dive gear; this post feels like as good a time as any to use it. I feel obligated to explain that the champagne was being consumed on our pool deck during the course of a late afternoon fool around in and next to the pool with some of my friends. The dive gear was still lying there from a class Tony had led that morning. The juxtaposition was too much to resist. That said, it’s time to think about Christmas, Hanukkah, and time off with the family. Some may even celebrate Festivus. I salute you. Regardless, it’s a good time to give gifts to the people you care about. Some suggestions follow below. First, here are the obligatory links to previous years’ editions of this guide: 2010, 2011, 2012, 2013, 2014, 2015. Unfortunately, 2016 was an annus horribilis best left undiscussed. As usual, this year’s guide owes much to previous versions. There’s nothing new under the sun. Don’t forget to add a memory card for the lucky recipient’s camera if you plan to gift any of these! Contact Tony for prices. As usual our Wild Card was an absolute blessing this year. It has been used for multiple park visits and also gets us a discount on our toll fee on Chapmans Peak Drive‘s frequent user program. The full card is a bit pricey, but there’s a great alternative called My Green Card, that costs R145 and gives twelve entries to any of the paid sections of Table Mountain National Park (so, Cape Point, Boulders, Silvermine, Oudekraal, and a few braai areas). Read the fine print carefully though – if you use it up quickly, you have to wait for the 12 months to pass before you can purchase another one. But I think you can also share the 12 clips with friends, whereas a regular Wild Card is tied to your identity. You will have to go to the SANParks office in Tokai to get a My Green Card. SanParks is introducing differential pricing for Table Mountain National Park, with significantly lower prices for locals, starting next November, so some mathematics will be required this time next year to determine whether a Wild Card is still worth the expense. Everything you need to know about finding a book related to the ocean can be discovered in our list of most recommended books, and our guide to finding the book you need (on this blog, at least!). There are a couple of children’s books there, too. Clip Clop designs and prints beautiful tide charts for Cape Town and Durban and moon phase charts for the year. You can order online or usually find them at Exclusive Books or Noordhoek Farm Village (just browse the shops there, one of them has the tide charts right at the door). You could also print and frame a photo, or create a photo book. Most camera stores can assist with a range of printing media. Be safe, be kind, be lekker. Thank you for your friendship and for the dives! The Christmas weekend has arrived and our gifts this year include some good visibility and a the cowsharks being back at Millers Point. We hope to launch tomorrow, if the wind and rain are a bit milder than the forecast, and again on Saturday. Then it is eating and napping time for a day or two, and we will plan to dive again on Tuesday, most likely in the Atlantic. 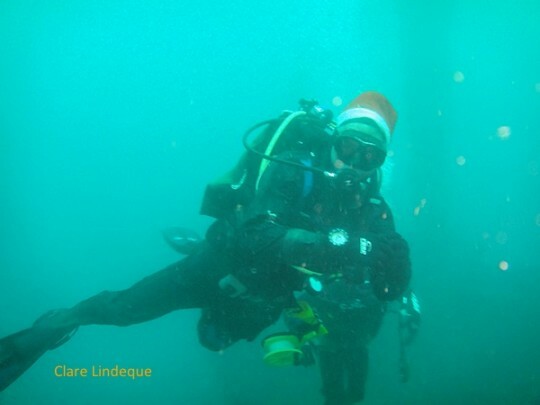 If you’d like to do some festive season diving during the next week or so, let me know. We would like to wish you all a good end of year rest, and merry Christmas to those of you who celebrate it. Thanks for the support and friendship, and we look forward to a diving-filled 2017. We seem set for a week of pleasant conditions. That rates as a good early Christmas present in my book. On Saturday and Sunday we will launch from Simon’s Town early to finish a few Advanced and Nitrox courses. 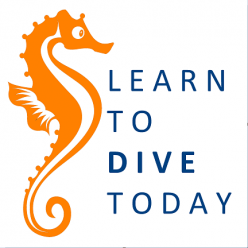 On Monday we will do shore dives to continue with Open Water courses, and the rest of the week will be for fun diving. Let me know where you want to go and when you’re free, and I will see if we can make it happen. Stuck for Christmas presents? Check out our 2015 gift guide. It’s still pretty fresh, but to it I would add Into a Raging Sea, by Andrew Ingram and Tony Weaver, commemorating 50 years of the NSRI. Available at all good bookshops! 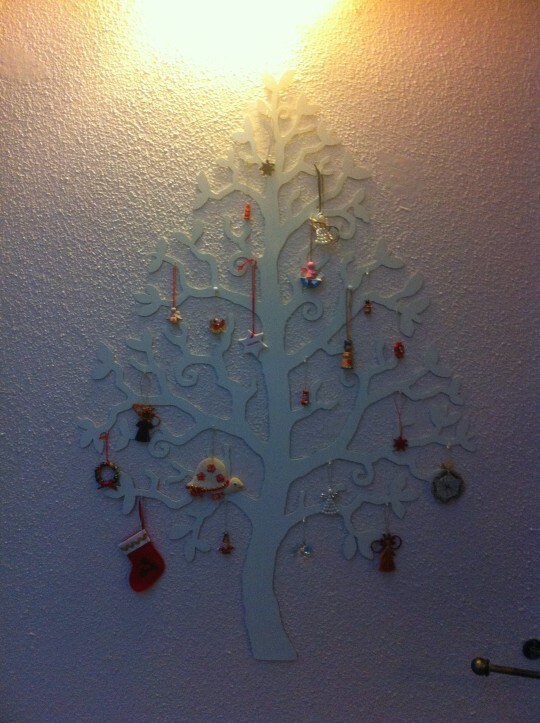 This is our Christmas tree. It’s cat proof. We’ve really got our money’s worth from our Wild Card this year. It has been used for multiple entries to Cape Point, for De Hoop, and for one or two other trips, and paid for itself in a few months. The full card is a bit pricey, but there’s a great alternative called My Green Card, that costs R110 and gives twelve entries to any of the paid sections of Table Mountain National Park (so, Cape Point, Boulders, Silvermine, Oudekraal, and a few braai areas). Read the fine print carefully though – if you use it up quickly, you have to wait for the 12 months to pass before you can purchase another one. But you can also share the 12 clips with friends, whereas a regular Wild Card is tied to your identity. You will have to go to the SANParks office in Tokai to get a My Green Card. A DVD – either a movie, a series box set, or a documentary – is not a bad gift idea! Clip Clop designs and prints beautiful tide charts for Cape Town and Durban and moon phase charts for the year. You can order online or usually find them at Exclusive Books. If you take your own photos, you could print and frame a couple, create a photo book (Orms can help with this if you don’t know where to start), or experiment with stretched canvas prints if that’s your thing. A digital photo frame pre-loaded with underwater images is also a lovely gift for a diving friend. Smaller items of gear such as cutting tools, masks, clips and other accessories won’t break the bank. Contact Tony for some ideas and suggestions as to what to get and where to find it. You can order a WetSac online (seriously, check it out). Otherwise, a fabulous hooded towel that will be the envy of everyone at the dive site can be obtained from one of the surf shops (try Lifestyle Surf Shop and just walk in there with your head up like you don’t care you’re not a surfer) next to Primi Piatti at Muizenberg. Several years ago the wonderful Tami gave me a WETSAC for my birthday. It sounds like something squishy and perhaps offensive, but in fact it is a marvel of ingenuity and designed to improve the lives of divers and surfers and outdoorsmen everywhere. 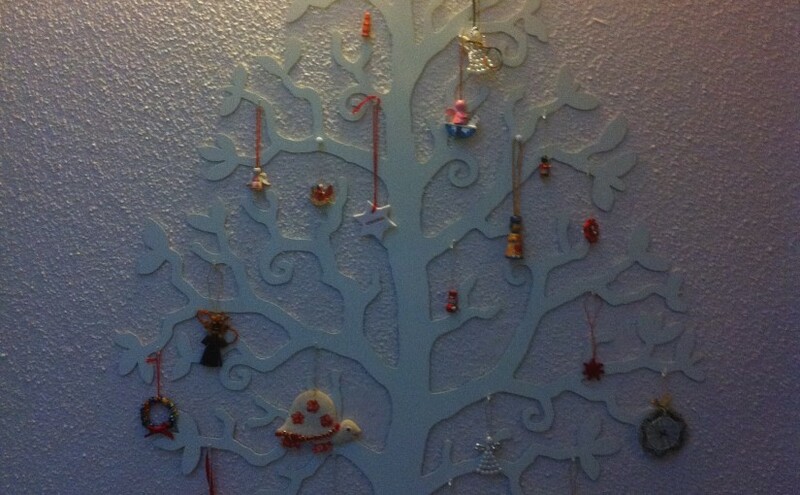 She bought it at a craft market in Hout Bay, and both of us have been hunting for a retailer of this product since then. Recently, I struck it lucky with a well phrased google search (something like “wet bag”). 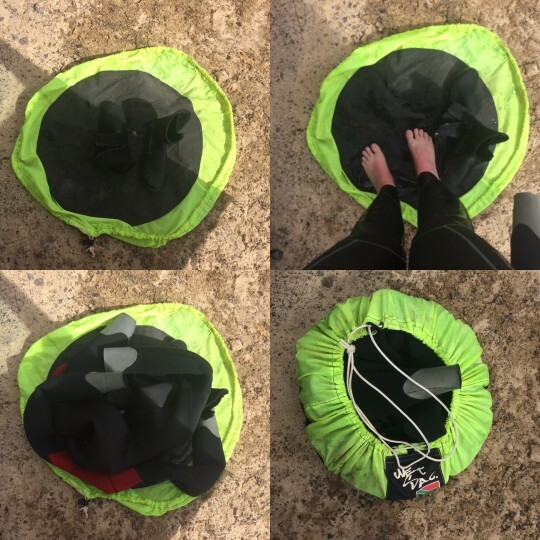 How many times have you struggled out of your wetsuit on a rough surface (Miller’s Point parking area and Hout Bay harbour, I’m looking at you), hurting your feet, standing on the neoprene and pressing it into the tar? You’re damaging yourself and your gear! Then you toss the dripping, smelly wetsuit into the back of your car – into a box, if you’re organised – and hope it doesn’t spray seawater and bits of grit from the parking area everywhere while you drive home. WETSAC is here to help. Essentially a mat that converts into a waterproof bag, it comprises a circular piece of tough fabric with a drawstring around the edge. You stand on it to get out of your suit, throw in your gloves, hoodie and booties, then step off and pull the drawstring tight. Toss the bag into your divemobile and don’t worry about remnants of your diving and changing adventures ending up all over the boot. It is beyond convenient. Plus, you can buy it online. Make a note for next Christmas! On Saturday and Sunday we are launching from False Bay Yacht Club and meeting at Simon’s Town jetty. First up, merry Christmas (to those who celebrate it) and happy new year (to all of you who adhere to the Gregorian calendar). I hope the new year brings you all you wish for, and some good diving. 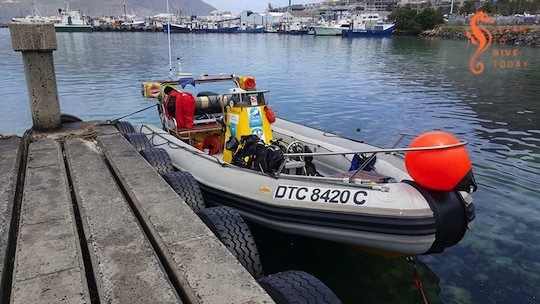 The past ten days or so have been hard times for Cape Town divers as huge swell, howling winds and lousy visibility have meant a lot of days that feel wasted -after all mowing the lawn or painting the house are hardly substitutes for diving. A handful of people have dived various sites without any reports of decent conditions. 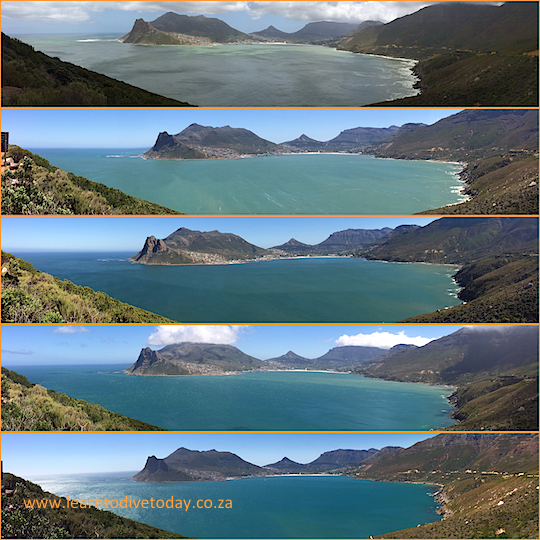 We drove from Chapman’s Peak to Millers Point almost every day watching and waiting for a change in the conditions. They have finally started to change. For most of the day we have had a light south westerly wind and for the next few days there is more west (in the very light winds) than anything else. Although it won’t turn the viz into 15 metres, it will improve as the weekend and early part of next week progresses. Its not the time of year for 20 metre viz but the water is 20 degrees in False Bay and if the visibility is 5+ metres then diving is quite enjoyable! We are spending the next few days diving in False Bay. We are going to finalise the boat diving sites on the day as it is difficult to be sure where the best conditions will be. If you want to dive, make your selection from the top of this newsletter, and reply to this mail or text me. We are turning our minds to travel plans for the next 12 (and a bit) months. In June we plan to go to Ponta do Ouro in Mozambique, to dive the reefs there, which teem with life. Dates for this trip will be confirmed in the next few weeks. In the mean time, start saving! For this trip, you will need to be a confident boat diver. Sometime in the first few months of 2016 (a stretch, I know) we plan to do a Maldives liveaboard trip with dive guide Becky and her husband Al from our last Red Sea trip. We will do this trip on the same basis as our Red Sea trip in 2013: we will tell you the dates we’ll be on board, and you book your own berths. Dates for this trip will be confirmed not earlier than the end of March, but you can start budgeting in the mean time. To get the full benefit from this trip you will need to be an Advanced diver with a Nitrox Specialty under your belt. Posted on 1 January 2015 1 January 2015 Author TonyCategories Advanced, Beach, Boat diving, Maldives, Mozambique, Newsletter, Nitrox specialty, Photography, Seals, Sharks, Shore diving, Students, Swell, Visibility, WindTags Christmas, holidaysLeave a comment on Newsletter: Beginnings!